Short for "search engine optimization", SEO is a online marketing discipline applied to websites to improve rankings, drive traffic, and increase awareness on search engines. SEO allows businesses and individuals to facilitate organic (non-paid) traffic to their website. 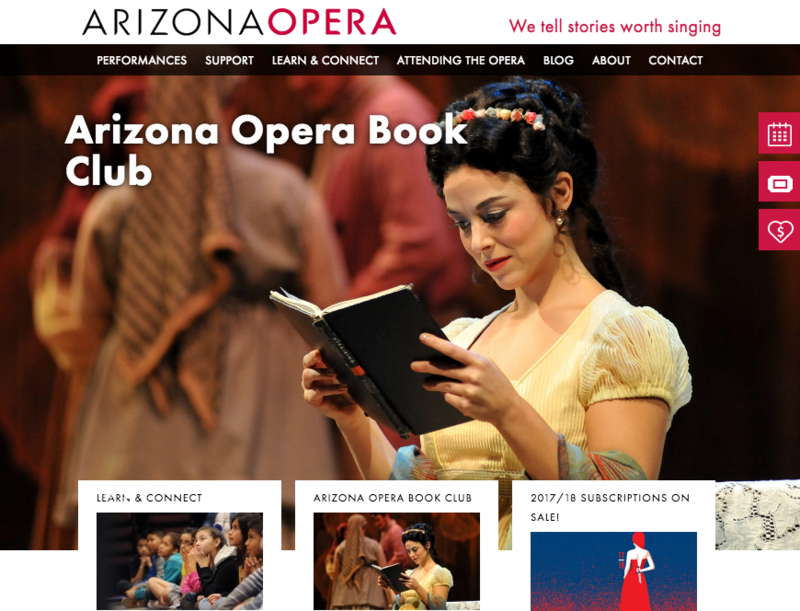 4x3 works closely with Arizona Opera to optimize their content and nurture organic SEO for their website. To do this, we have focused on 6 simple SEO techniques to increase their ranking and visitor traffic. SEO isn't just about building search engine-friendly websites. It's about making your site user-friendly and easy to navigate. Having years of experience in web design and development, we created Arizona Opera's website in a way that search engines can understand. Simple URL paths and site maps are key! With approximately 3.2 billion people online, it is likely that at least several thousand are searching for any specific keyword at any time. A major way to target your audience and push yourself to the top page of Google is to mention your location. Unless an Internet user is purposefully searching for general information about an opera or opera house they will not find Arizona Opera. As such, most people will search for a more narrow term like: "opera house arizona" (577,000 results) or "opera house phoenix az" (234,000 results). Luckily, Arizona Opera has a distinct advantage in this category simply because their location is present in their opera company name, which significantly helps with narrowed Google searches. Arizona Opera is on the top page of Google because 4x3 has helped the opera company monopolize many searches in Phoenix, Tuscan and surrounding Arizona townships. The same principle of mentioning your location on your website can be applied to titles, headers and meta descriptions as well. Whenever we update content for Arizona Opera we consciously include keywords about specific performances, ticket sales, events and press coverage that the opera company wishes to highlight. By repeating keywords whenever practical (especially in areas that search engines pull information from) Arizona Opera gains the top Google ranking. It's important to remember that SEO has both technical and creative elements. Responsive design is a necessary feature for any modern website. In fact, Google has new mobile friendly test that can inform visitors if your site has a responsive design. This can inevitably affect your website's credibility, local SEO, click-through rate and lead generation. Google has even gone as far to state that responsive web design is the recommended mobile website configuration and penalizes any site that is not responsive. SEO is all about web presence. 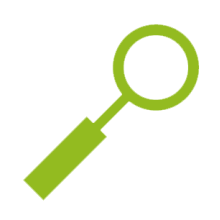 Active websites will always be favored over inactive sites. While this applies to website content, it can also refer to social media. Websites with active (and multiple) social media platforms attached to the website see additional traffic and credibility given to both their website and search engine ranking. Arizona Opera is extremely active on Facebook, Twitter, Instagram, Youtube, and Soundcloud, which in turn drives additional traffic to the website and generates organic SEO. Content that is consistently relevant (not time limited) can be searched months or years after posting. This kind of content, when found, will bring visitors to your website and then drive them to your more recent content. Timeless content always gives you a better chance at competing for the top slot on Google. For Arizona Opera, we help archive of all past opera performances. When an opera fan searches for The Magic Flute or Rigoletto they are drawn to the Arizona Opera website where they can then search for more recent performances of their favorite operas. Visitors will always find what they want while Arizona Opera gets the views. Whether you need a website designed with SEO in mind or you just need help boosting your Google ranking, 4x3 is here to help! We utilize the most up-to-date methodologies to optimize search engine indexing.